It's the real deal, baby. 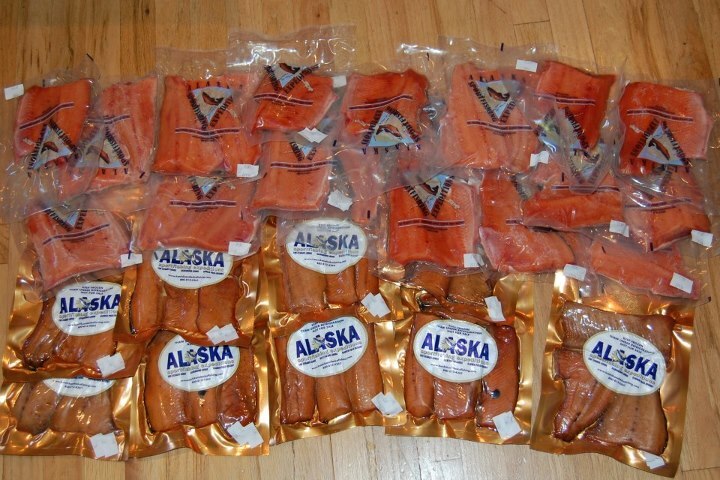 Alaskan salmon. 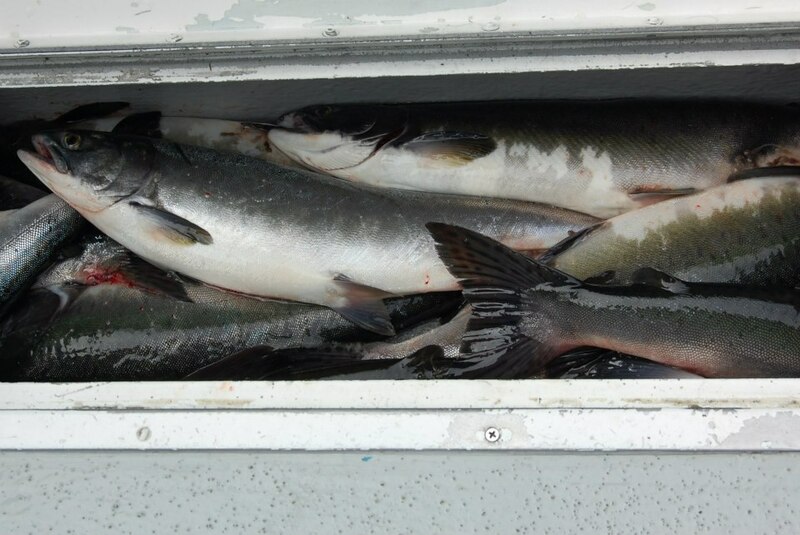 Caught fresh by my seester- and brudder-in-law in Ketchikan, dressed, prepped, frozen and shipped back home to them. Prior to the trip, in one of my "take all those old magazines and pin recipes to Pinterest while watching the Olympics" sessions, I came across a recipe for wild salmon and potato cakes in Food & Wine. In honor of the Ketchikan catch, and in celebration of scoring a night sans kids, I decided to give them a go. Here they are, made with my own inferior salmon steaks, but still punch-the-wall good. I improvised a peach salsa to go with them for dinner, and the next day had one on a potato roll with lettuce, tomato and thousand island dressing. Meanwhile, put the salmon on a lightly oiled rimmed baking sheet and season with salt and pepper. Bake for about 15 minutes, until the salmon is medium-rare inside. Remove from oven, lower temp to 170-200 and put a clean baking sheet in. Gently flake the salmon and add it to the potatoes along with the scallions, eggs, garlic, ginger, onion, tamari and sesame oil. Mix well, then fold in the bread crumbs. Season with salt. Form the potato mixture into fourteen 1/2-cup patties. In a large nonstick skillet, heat 1/4 inch of safflower or sunflower oil until shimmering. Working in batches, fry the potato cakes over moderately high heat until browned and crisp, about 4 minutes per side. Transfer to baking sheet in warm oven. Repeat with the remaining potato cakes, adding more oil and adjusting the heat as necessary. The peach salsa was total improvisation: 2 peaches, the other half of the red onion, cherry tomatoes, 2 persian cucumbers. Chop it all, throw in some parsley or cilantro, some vinaigrette to toss. And at the last minute, a shake of black sesame seeds for no reason, they just looked cool. These were amazing. The salmon and potato alone would have been good but the ginger and the sesame oil turned it into something entirely new and wonderful.